The Department of Health and Social Care could consider setting a price concession for products where they are available above the set Drug Tariff reimbursement price. Pharmacy contractors will be automatically reimbursed based on the set price rather than the Drug Tariff listed price. Why does the price concession for a drug not reflect the price I’m having to purchase it at? How long do price concessions last? Why aren’t price concessions granted on the first day of each month? Why do contractors need to report generic shortages each month? Can I refuse to dispense a generic drug that I cannot obtain at or below Drug Tariff price? If a medicine is granted a price concession, are all strengths of the product covered? PSNC and DHSC negotiate price concessions and try to agree to a price that both parties feel is reflective of market availability. Whilst this may not be the price that you have purchased at, PSNC only agrees when we believe that price is one that most contractors can obtain the drug for. However, there are also times where an agreement cannot be reached and DHSC decides to impose a price concession instead. The decision to grant a concession ultimately lies with DHSC so they have the power to impose a price if they feel unable to agree to PSNC’s requested prices. When a price concessions is granted, it is valid until the end of the month in which it was granted. PSNC needs to apply/re-apply for concessions on a monthly basis. If there is an on-going supply problem, it is possible that a new concession will be granted by the Department of Health and Social Care the following month; however, this is not guaranteed. If there is a supply issue, PSNC needs to make a fresh concession application at the start of each month. The Department of Health and Social Care then take time to undertake checks and make a decision. In some cases, there is a need for negotiation between PSNC and the Department of Health and Social Care on an individual product’s circumstances; this can take time. Price concessions only apply for the month in which they are granted. Because the market fluctuates on a regular basis in terms of stock levels and prices it would not be appropriate to roll the price over from one month to the next. No; it is against a pharmacy’s NHS Terms of Service to refuse to dispense a drug on cost grounds. 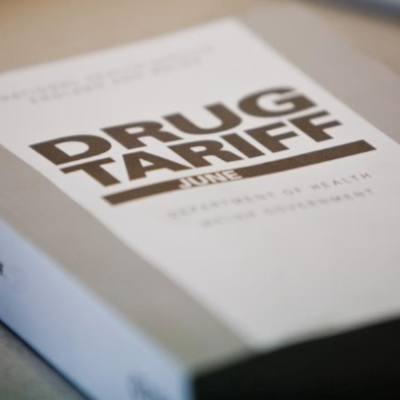 If a generic drug is unavailable at the Drug Tariff price, pharmacy teams may wish to contact the prescriber to request a prescription for a particular brand or make of drug to ensure reimbursement is based on the item dispensed. No, concessions are granted to specific strengths of a product so contractors must check the latest list so they know which strengths have been granted a concession.